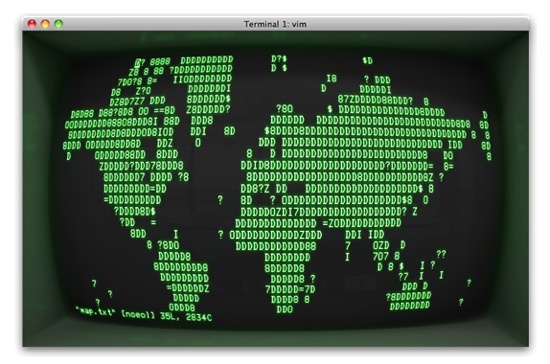 Vintage Terminal Emulator « Adafruit Industries – Makers, hackers, artists, designers and engineers! Bask in the glow of over-bright phosphors that flash on and slowly fade away. Customize the screen’s curvature, colors, and transparency. Slow the bit-rate to a crawl. Watch the strange dance of beam desyncs and shifting colors. Turn up the noise, jitter, and flicker to add a realistic warmth. Disregard thirty years of GUI advancement by immersing yourself in full-screen mode. Impress curious onlookers at internet cafes. It seems kind of dumb to pay $20 for this when xterm will do it for free. Except for the distortion part, although I bet there’s a package for that too.